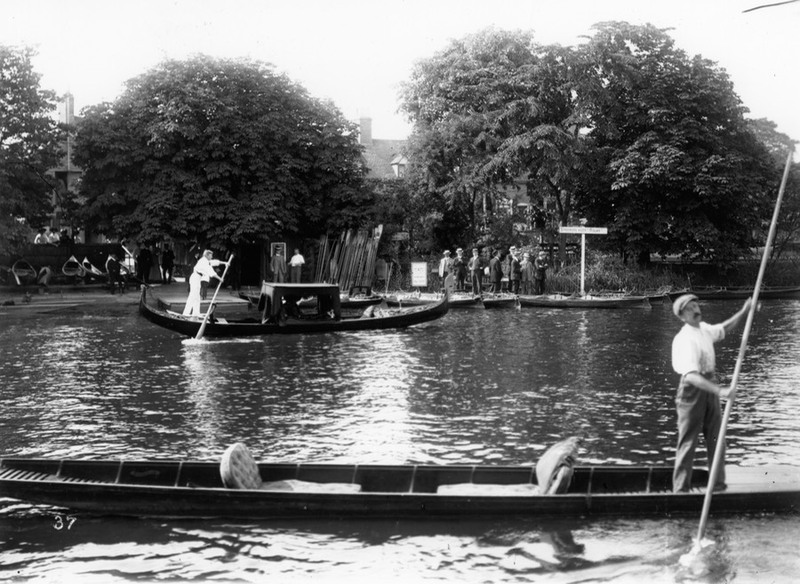 Marie Corelli in her gondola on the Avon circa 1910, with Ernest Chandler as gondolier. Note the summer canopy on the gondola. Image - courtesy of the Shakespeare Birthplace Trust.